Generation X suffers poorer mental health in mid-life than the Baby Boomers before them, according to new research from the UCL Institute of Education (IOE). Researchers at the IOE’s Centre for Longitudinal Studies analysed information on almost 19,000 British people from two generations – those born in a single week of 1958 who are taking part in the National Child Development Study, and those born in a single week of 1970 who are being followed by the 1970 British Cohort Study. 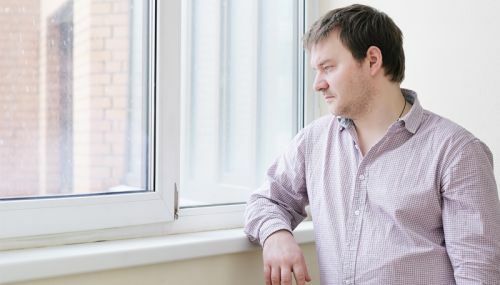 The findings, published in Psychological Medicine, showed that the 1970 generation was more likely than those born in 1958 to report symptoms of poor mental health at age 42, such as often feeling depressed, anxious or irritable. The increase in psychological distress was more prominent in men. Among those born in 1958, 10 per cent of men suffered from distress, compared to 16 per cent of those born in 1970. Although women were more likely than men to report poor mental health in both generations, the rate rose less sharply for them – from 16 per cent in 1958 to 20 per cent 12 years later. The study examined whether circumstances during early life and adolescence explained the differences between the two generations. The lead author, Dr George Ploubidis, said that although these generations experienced different upbringings, these had only a modest effect in explaining the increase in poor mental health at age 42. In men, having conduct and emotional problems at age 16 and seeing parents divorce had a small effect in explaining the differences in psychological distress between the two groups in early middle age. For women, never being breastfed, having a mother who smoked during pregnancy, as well as conduct and emotional problems at age 16, accounted for a small fraction of the differences in mental health between the two generations at 42. Using sophisticated statistical methods, the researchers ruled out that the 1970 generation were more likely to recognise their own psychological distress than the earlier born group. Dr Ploubidis suggested that other factors in early adulthood and middle age could be responsible for the differences in mental health between the two groups. However, these were not analysed in this particular study. He said: “The rise in psychological distress is interesting given that the increase has occurred despite economic growth. However, the 1958 cohort are part of the ‘Lucky Generation’ of post-war baby boomers, who experienced high absolute levels of social mobility, and relatively low social inequality in their early lives, whereas the 1970 cohort are part of ‘Generation X’, who have experienced greater uncertainty and insecurity, and a more individualistic society. ‘Psychological Distress in Mid-Life: Evidence from the 1958 and 1970 British Birth Cohorts’ by George Ploubidis, Alice Sullivan, Matt Brown and Alissa Goodman will be available online on the Psychological Medicine website from 09.00 hours on Monday, October 10. 1. The 1970 generation experienced slightly more conduct and emotional problems at age 16 than the earlier born group. However, these factors had a strong effect on the mental health of both generations at age 42. 2. By the age of 10, 5 per cent of the 1958 children had parents who had divorced. This rose to 12 per cent for those born in 1970. Although there was a rise in parents divorcing, this only had a small effect on the increase in poor mental health in mid-life for the later born men. 3. The proportion of children who were never breastfed increased from 32 per cent for those born in 1958 to 64 per cent for those in the 1970 generation. This factor made only a modest difference to the increase in psychological distress for women in the 1970 group at age 42. 4. Thirty-four per cent of children in the 1958 generation were born to mothers who smoked while pregnant, compared to 46 per cent of mothers whose children were born in 1970. This rise only had a small effect on the increase in poor mental health for the later born women in mid-life. 5. When each generation was age 42, participants were asked if they experienced a range of symptoms known to be related to common mental illnesses, such as depression and anxiety. For example, participants were asked how often they “feel miserable and depressed”, “get worried about things” and “get easily upset or irritated”. 6. The National Child Development Study (NCDS) is following the lives of more than 17,000 people born in England, Scotland and Wales in a single week in 1958. Over the course of their lives, the study has collected information on their physical and educational development, economic circumstances, employment, family life, health behaviour, wellbeing, social participation and attitudes. The next survey is due to take place in 2018 when the cohort members will be aged 60. The study is funded by the Economic and Social Research Council and managed by the Centre for Longitudinal Studies at the Department of Social Science, UCL Institute of Education. 7. The 1970 British Cohort Study (BCS70) is following the lives of more than 17,000 people born in England, Scotland and Wales in a single week of 1970. Over the course of cohort members’ lives, BCS70 has collected information on health, physical, educational and social development, and economic circumstances, among other factors. The age 46 survey is taking place in 2016-17. The study is funded by the Economic and Social Research Council and managed by the Centre for Longitudinal Studies at the Department of Social Science, UCL Institute of Education.